Quantum technologies offer revolutionary new capabilities, the industry is booming, but is still in its infancy. With Quantum computing, a landscape of new possibilities will be added to the thriving eco-system of high-performance computing, machine learning and artificial intelligence. Quantum-communication and -internet bring new capabilities in (information) security and distributed (quantum) computing. Finally, quantum sensing will bring a whole new dimension to a host of industries and sciences. The past two decades we witnessed an explosion in academic research and results. Now this development is transitioning into the first steps of the quantum industry, of which we are proudly part. 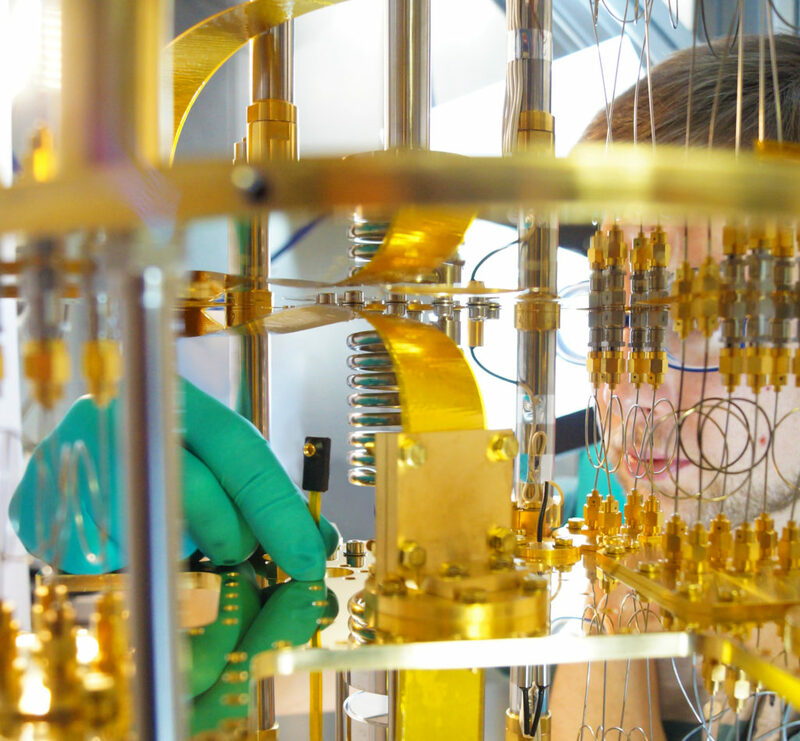 With our team we are devoted to supply the quantum engineers in industry, academia and national labs, the best available tools, technology and services, such that they can focus on their real task. As an independent quantum hardware supplier we support our customers in making quantum technologies a reality. The story of Delft Circuits started about twenty five years ago, when our founder and CEO, Sal Bosman (36), dreamt as a teenager of building his own (electronics) factory. After a long journey ranging from industrial design engineering in high-tech area Eindhoven, to co-founder of a internet of things company, to theoretical physics, he ended up pursuing a PhD in quantum computing in Delft (in the lab of prof. Gary Steele). During those years an informal group -the cleanroom cowboys- formed around the Delft-based cleanroom and lab facilities. Together with his wife, Paulianne Bosman-Brouwer (42, economist and serial entrepeneur), they studied the feasibility of starting a company in the quantum industry in 2014-2015. 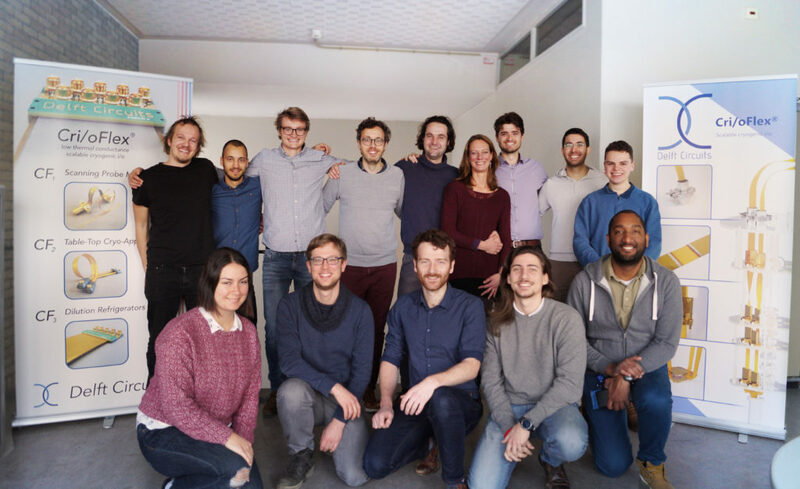 In 2016 we started our daily activities with a small team, including co-founder and COO, Daan Kuitenbrouwer (28, innovation studies and physicist). In 2017 Delft Circuits b.v. was formally founded and we started beta-testing of our Cri/oFlex® products. Now, 2019, we are ramping up production of our first products to supply our customers with the equipment they need. In three years we have build a up an amazing dedicated team and our production facility. We are proud to be 100% customer- and self-funded. At Delft Circuits we combine a strong background in entrepeneurship and a highly-skilled multi-disciplinary team of engineers and scientists. Our backgrounds vary from design-, electrical-, microwave-, and mechanical-engineering, to process technology and various branches of physics, to business development and economics. 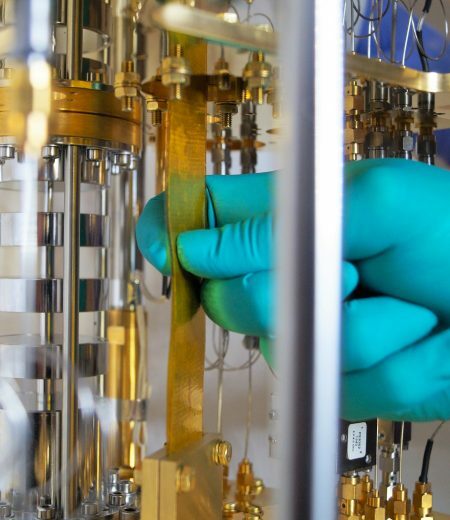 This together with over two decades of accumulated experience in quantum research and cryogenic circuit technologies in the fields of superconducting-, spin-qubit and topological-quantum computing, enables us to create products for the most challenging quantum applications. Quantum technologies operating in the coldest environments in the universe require thorough understanding of the underlying electro- and thermodynamics combined with excellent control over the fabrication processes and materials. All coming from our own backgrounds we were attracted to this exciting field of quantum technologies, where engineering is the most challenging. We are a team of diverse characters and backgrounds who like to work together and are result oriented. Do you feel like you could be a part of the DC team? 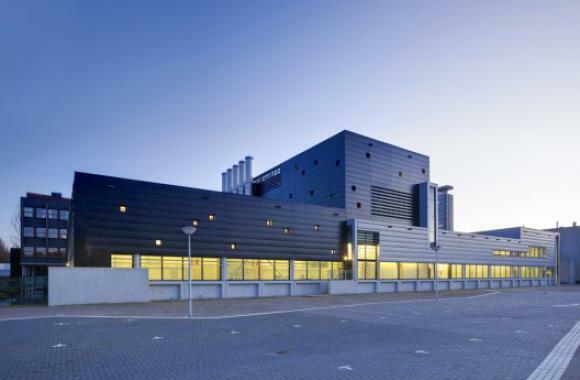 Delft Circuits has in-house fabrication and pilot-production facility of 150 m2 located at the Delft Quantum campus. There we have a complete process facility to fabricate multi-layer (super)conducting circuits on flexible circuits. Ranging from inspection, to various deposition and lithographic equipment and techniques, chemical processing and more. 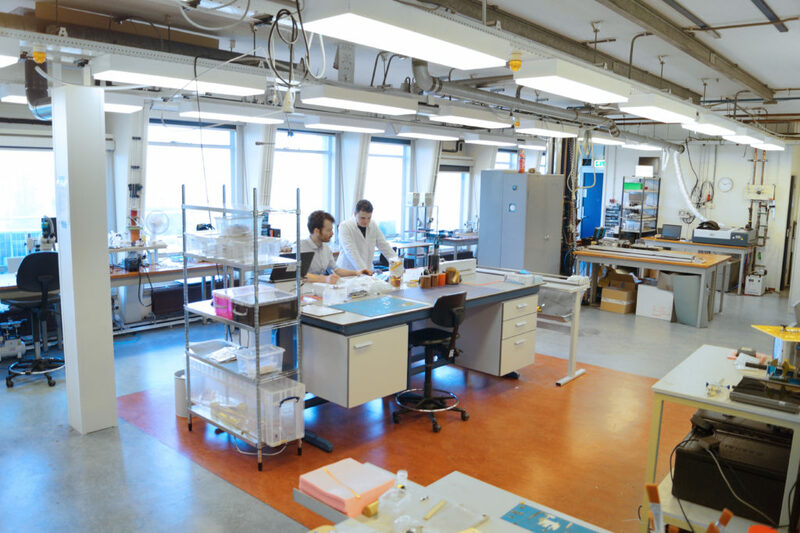 We have access to cryogenic and measurement equipment for thermal and electro/ microwave characterisation from room-temperature to 10 miliKelvin. 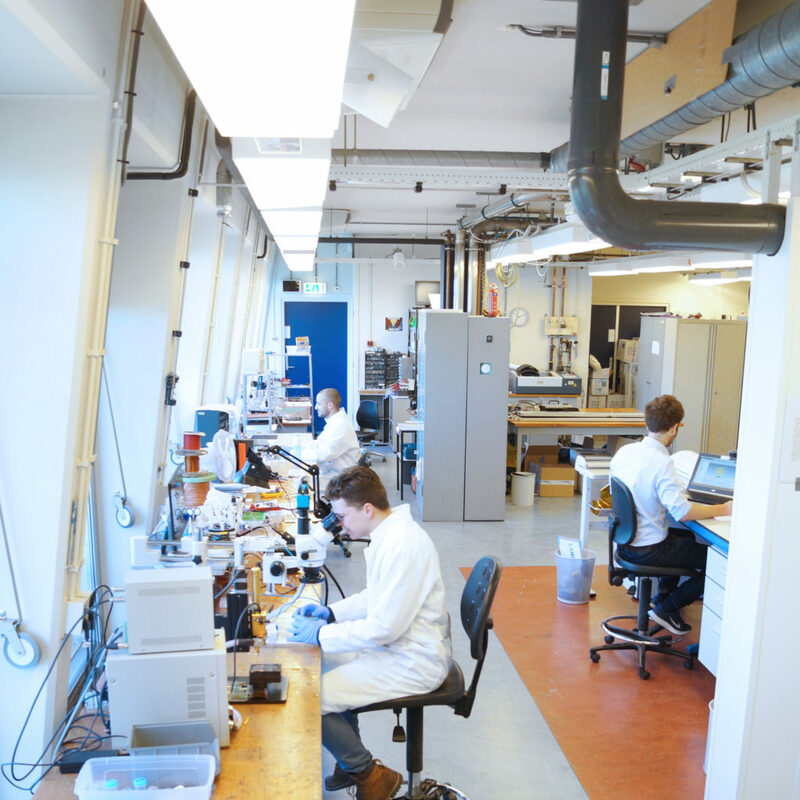 Within the Delft Quantum Campus, we have one of the largest research cleanrooms in Europe. Here we have access to most of the possible fabrication and inspection technologies. We can deposit many superconductors, metals and dielectrics through evaporation, sputtering, ALD, LPCVD, PECVD, etc. We have access to optical and ebeam lithography and inspection like AFM and SEM. With more than a decade experience in this cleanroom we are the ideal partner to fabricate your most challenging circuits.